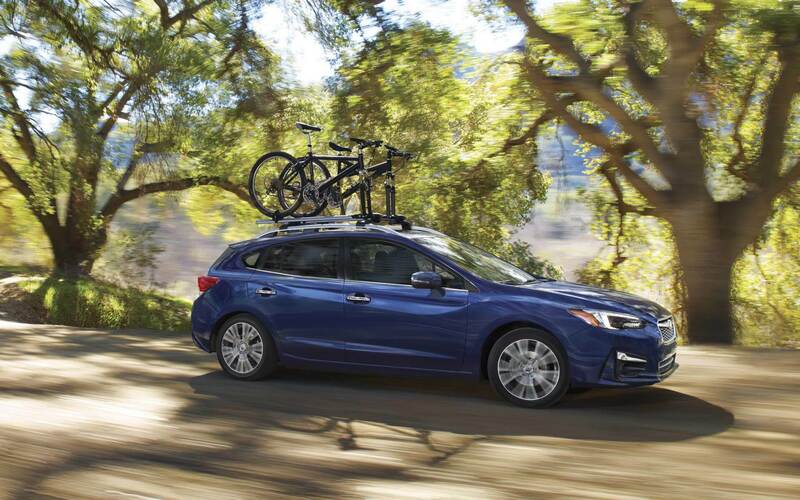 Known for being compact, sporty, and fun to drive, the Subaru Impreza has been a part of the Subaru family since 1992. Over the years, it has received several notable improvements and upgrades. 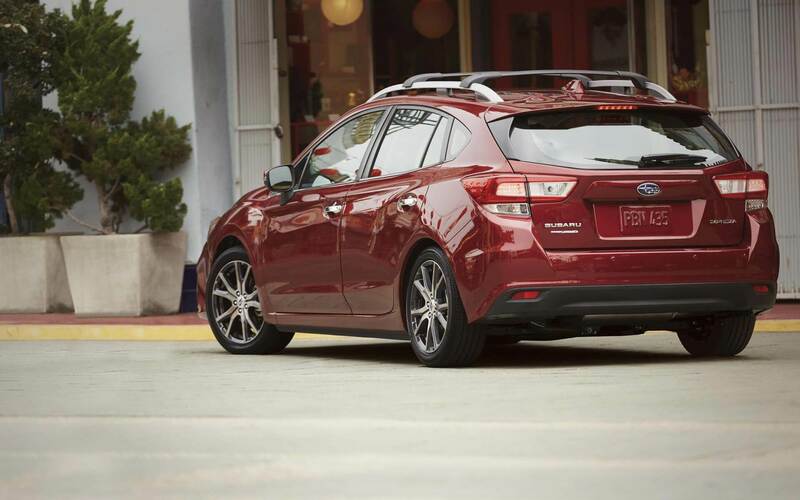 The Impreza is made in multiple body styles, including a performance-oriented sedan, a snazzy coupe, and a hatchback. The hatchback and sedan both seat five passengers. The used hatchback, which is considered an ideal car for commuters in Boulder CO, has an average gas mileage of 25-32 MPG. The base MSRP for the Impreza is $18,495. Some of this vehicle's primary competitors are the Toyota Corolla, Hyundai Sonata, and the Nissan Altima. In Boulder CO, 2018 used Subaru Impreza for sale can be purchased as either a sedan or a hatchback. The car in this model year comes in standard all-wheel drive. Some notable features of the Subaru Impreza are that it has refined suspension tuning and a sporty trim. 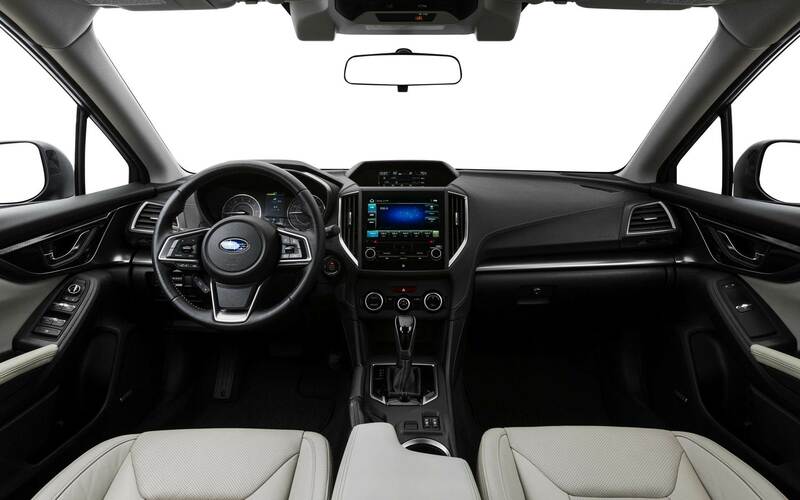 The vehicle comes with a suite of active safety features, and it has connectivity capacity with Apple CarPlay and Android Auto. Adding to the Impreza's sporty feel is the fact that it has a five-speed manual transmission with overdrive. The hatchback is equipped with a 152 HP, 2.0-liter engine, and it runs on regular gasoline. This car's drivetrain is all-wheel drive. The Impreza of this year comfortably seats five passengers, and it is praised by consumers for its generous headroom and legroom in the backseat. The used Impreza also stands out for its exceptional front and rear visibility. The sound system is a highlight of the Impreza, and it has a very user-friendly multimedia system too. The Impreza's ride is exceptionally smooth for a performance-oriented car, and it is also noted for its handling balance. There are eight trim levels available in the Impreza, and the higher-end models pack even more features beyond what the entry-level model offers. All trim levels of the Impreza have done well in NHTSA safety crash ratings, with the 2018 Impreza earning a five-star rating for overall side and overall rollover. A new feature found in the 2018 model of the Impreza are headlights that are automatically activated through windshield wiper use. These headlights are standard components of the premium and higher trim levels. 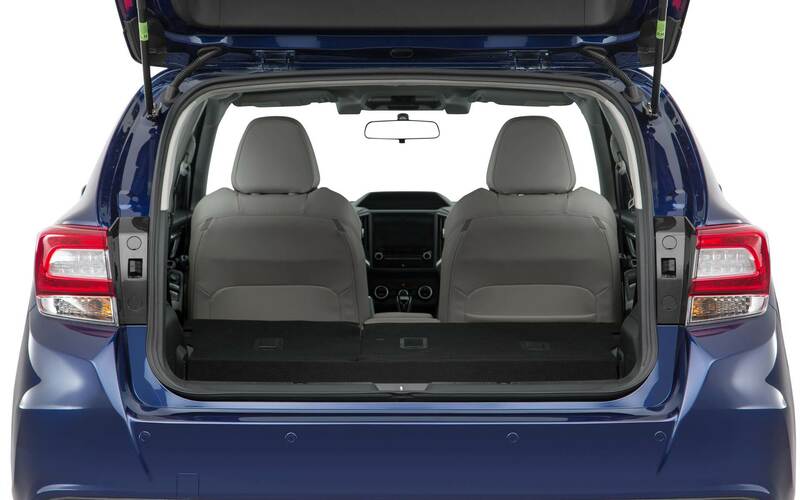 The top level trim of the 2018 Impreza is noted for its high-quality interior materials, and it contains an assortment of delightful standard amenities, including a suite of EyeSight safety features. 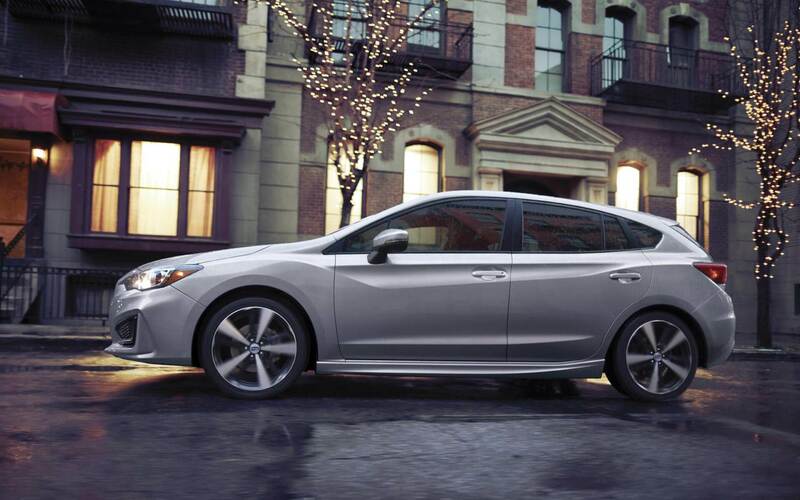 In the model year 2016, the Impreza is produced in both a sedan and a hatchback style. The average MSRP for an Impreza for sale in this year ranges from about $13,830 to $23,000. The Impreza in this year has a combined city and highway MPG of 28-31 MPG. It comes with a 2.0-liter, 148 HP engine with four cylinders, and it runs on regular gasoline. This year's model comes with a choice of a five-speed manual or an automatic transmission, and its drivetrain is all-wheel drive. Both the sedan and hatchback models are equipped with high-tech emergency communication systems. As with models of other years, the 2016 Impreza comes in several trims. The base version for sale, called the 2.0i, offers a choice of either a five-passenger sedan or a four-door hatchback. The sedan is also offered in a Premium and Limited trim, while higher-end versions of the hatchback are the Sport Premium and Sport Limited editions. These vehicles may be found at Flatirons Subaru, which is a Boulder dealer known for its inventory of Subaru vehicles. The hatchback and sedan have similar body designs, but the hatchback is about 6.5 inches shorter. Both the sedan and hatchback come standard with 15-inch wheels, which can be swapped out for 16-inch or 17-inch alloy wheels if customers desire a sportier ride. While many amenities can be added on to the base model to make it a sleeker and sportier ride, there are also a number of standout features that are standard components of the higher-trim models, including the Premium and Sport Premium vehicles. Both of these higher-level trims have heated cloth seats in the driver's and front passenger's seats. The Limited models also have leather seats. Along with comfort features, the higher-end trims have an impressive collection of integrated audio components. An HD radio, Bluetooth connectivity, compatibility with USB and iPods, and smartphone apps for iHeart Radio, Aha, and Pandora are all standard components found in the 2.0i and 2.0i Premium models. Safety, one of the most important features in any car, is also prioritized in the Impreza. All trim levels share some basic safety features, which includes a backup camera, antilock disc brakes, an electronic stability system and seven airbags for passengers. Optional additional safety features for the Limited models are dual backup cameras near the rearview mirrors, forward collision warning mechanisms and lane departure warning. Customers searching for a used Subaru Impreza for sale can contact Flatirons Subaru, a premier Boulder dealer, for more information regarding the different years, body styles, and trim levels offered in this popular type of Subaru.